The Guardian have kick-started their World Cup 2018 coverage with a new interactive feature allowing readers to pick their all-time best team for each country. I was really excited to work with Andy Shanks and the team at Ideas Made again to make it happen. 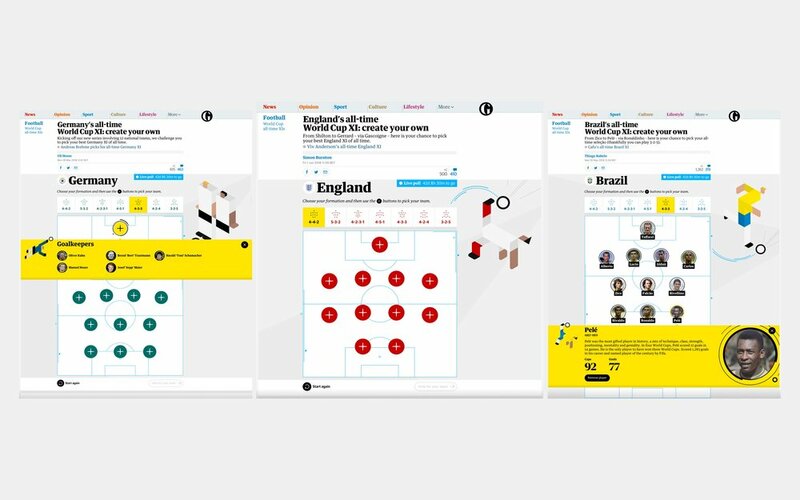 I designed the UX and UI, working within the Guardian's existing templates and taking inspiration from the visual style the team at the Guardian had created for their World Cup coverage. The interactive feature, which launched on 28th May, is fully responsive, working on their website as well as within their mobile apps. 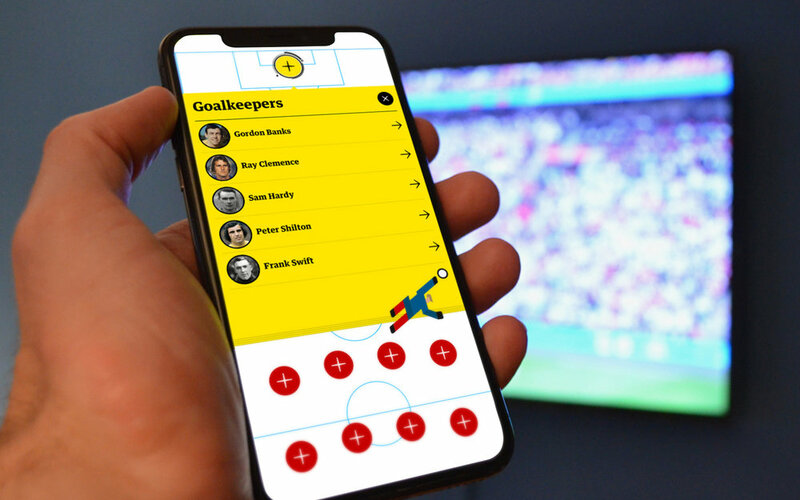 Readers can get inspiration from all-time XIs chosen by former players like Cafu for Brazil, Viv Anderson for England and Marcel Desailly for France, as well as see how their team compares to the popular vote. You can find an index of each of the All-Time XIs on The Guardian website.